If you don’t have anything to do today, I suggest watching all of these on youtube. This guy is hilarious. Meet Intern James “Blue Knight” Costanzo: a native of lovely Patchogue and a die-hard Mets and Jets fan. He has done a fantastic job for us, but I believe this was the highlight of the summer. 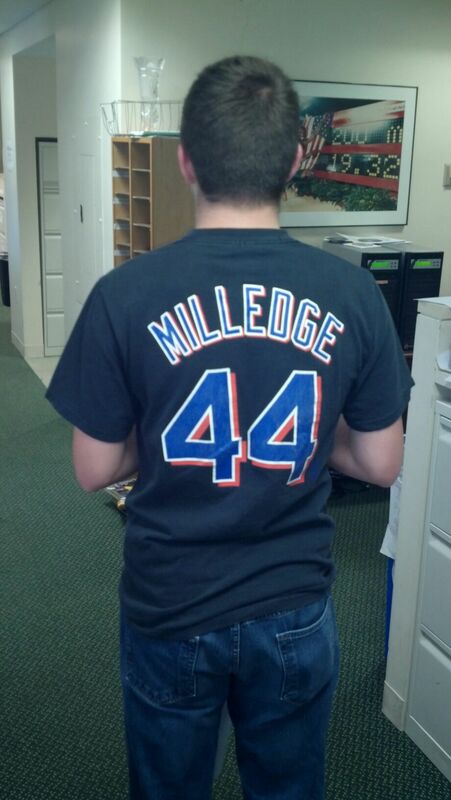 Since it was his final day in the office, James decided to make a bold statement and rock a Lastings Milledge shirt to work. Anyone who has the balls to wear this shirt deserves a round of applause. 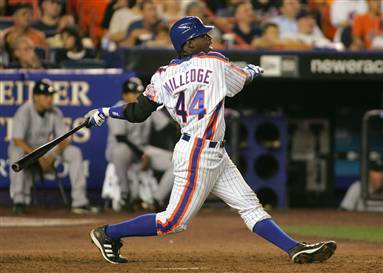 If you guys don’t remember Lastings Milledge, he was the most hyped Mets prospect since Darryl Strawberry. The dude was supposed to be the next Willie Mays. Instead, he was remembered as the guy with awesome dreads who couldn’t hit a home run to save his life in Shea. So this week’s SOTW goes to our interns James and Priyanka “Go Orange” Vohra for working their asses off for us the last three months. The Mets must take advantage of the trade deadline. Their main priority: trade Carlos Beltran for a solid prospect. With the way Jose Reyes has played this season, the Mets would be stupid not to sign Reyes at the end of the season. Since Alderson won’t keep both players, Beltran must go. It appears that there are five teams in the Beltran sweepstakes: the Red Sox, Phillies, Giants, Braves, and Rangers. Every one of these teams have some good prospects that the Mets could be interested in. 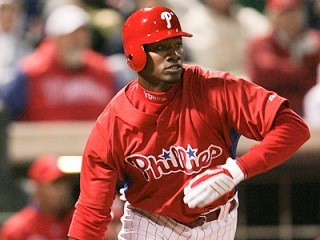 There have been rumors that the Phillies would be willing to give up their top prospect Dominic Brown for Beltran. Even though the Phillies are in the NL East, I believe the Mets would agree to this trade. Brown has a tremendous upside while Beltran is reaching the end of his prime. As for the Braves, there were some Mets scouts spotted at Turner Field watching left-handed pitcher Mike Minor. Minor would also be a great addition to the mediocre Mets staff, but I think the Mets can get more in this trade than just an unproven starter. As I said prior to the season, the Mets are better than predicted. They currently stand at .500 and are in third place in the NL East. With all of the injuries this year (Wright, Reyes, Davis, Young, and more), they have still managed to salvage the season. Even though it’s highly unlikely that the Mets will make a playoff run, they can still finish with a respectable record. 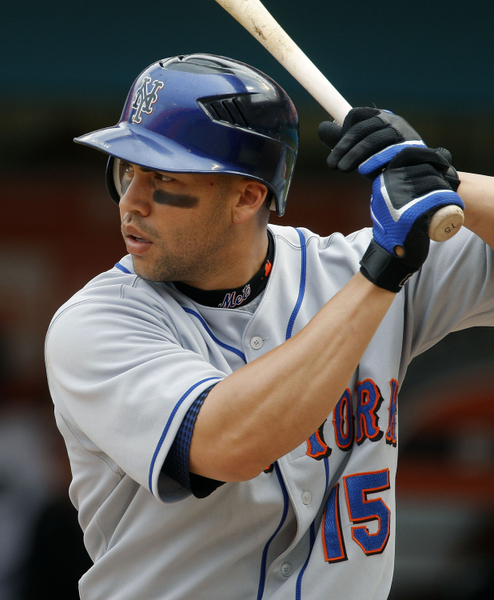 If the Beltran trade goes as planned for Alderson, Mets fans should feel optomistic about next year.